Monitoring : Keep tracks of the pests and their potential damage. This provides knowledge about the current pests and crop situation and is helpful in selecting the best possible combinations of the pest management methods. Pest resistant varieties : Breeding for pest resistance is a continuous process. These are bred and selected when available in order to protect against key pests. Cultural pest control : It includes crop production practices that make crop environment less susceptible to pests. Crop rotation, cover crop, row and plant spacing, planting and harvesting dates, destruction of old crop debris are a few examples. Cultural controls are based on pest biology and development. Mechanical control : These are based on the knowledge of pest behaviour. Hand picking, installation of bird perches, mulching and installation of traps are a few examples. Biological control: These includes augmentation and conservation of natural enemies of pests such as insect predators, parasitoids, pathogen and weed feeders. In IPM programes, native natural enemy population are conserved and non-native agents are released with utmost caution. Chemical control : Pesticides are used to keep the pest population below economically damaging levels when the pests cannot be controlled by other means. It is applied ONLY when the pest's damaging capacity is nearing to the threshold. Fostered with rich industry experience, we offer Weather Tracker Models. It provides exact and accurate data that makes it a trust worthy product our clients demand for. Widely demanded by clients, we manage to offer a wide range of models for our clients so that they can customize as per their requirement. We deliver the product in scheduled time to ensure the satisfaction of our clients and this is how we have maintained our credibility. 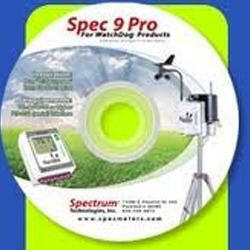 Manufacturer: Spectrum Technologies Keep tabs on the conditions affecting your crops and the insect an diseases that threaten them with our NEW Weather Trackers. Placed right in your field, vinyard, or orchard, your Weather Tracker provides instant site-specific data to help you make timely management decisions. 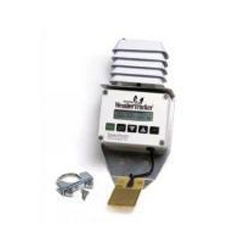 Pest Alert Model 320 Air Temp and Leaf Wetness Logger.Apple and pear growers will benefit from the Weather Tracker 320's disease forecasting functions. Forecasts for apple scab are generated from validated disease models. Add this to degree-day and chill hour tracking for a comprehensive self-contained analysis tool. We offer Plant Disease Forecast Models Software to our clients that detect the diseases in plants and helps in better production. We offer the best quality product to our clients in compliance to set industrial norms. Our quality experts make sure that the product is manufactured and designed using fine quality material so as to meet the requirements of our reputed clients. Our price range is affordable as well.